The glass cutters and pliers were put out and the workshop began. 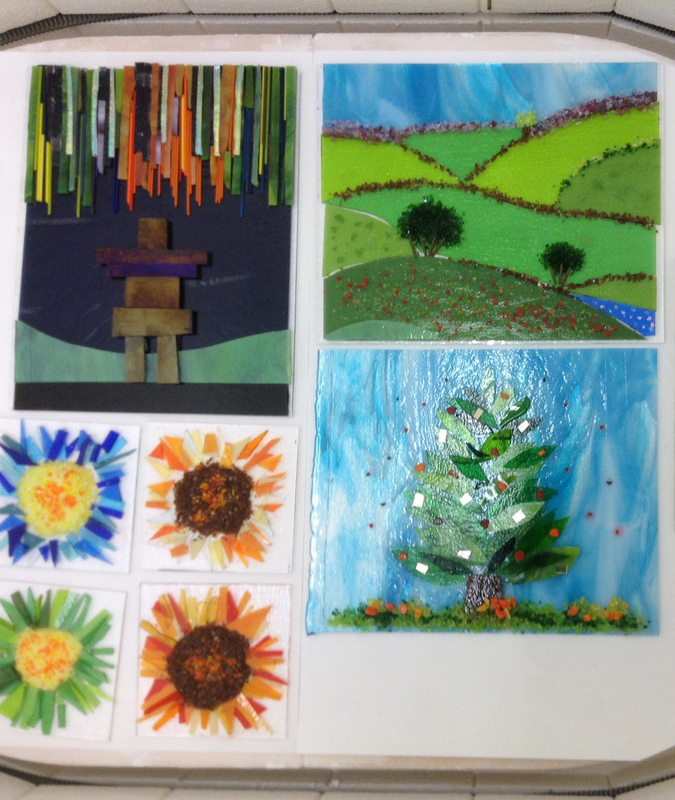 We had designs based on the Yorkshire countryside, Inuit sculpture and trees and flowers. What a good job! !.